Looking for a place to go for adventures and outdoor activities? Then Costa Rica is for you! 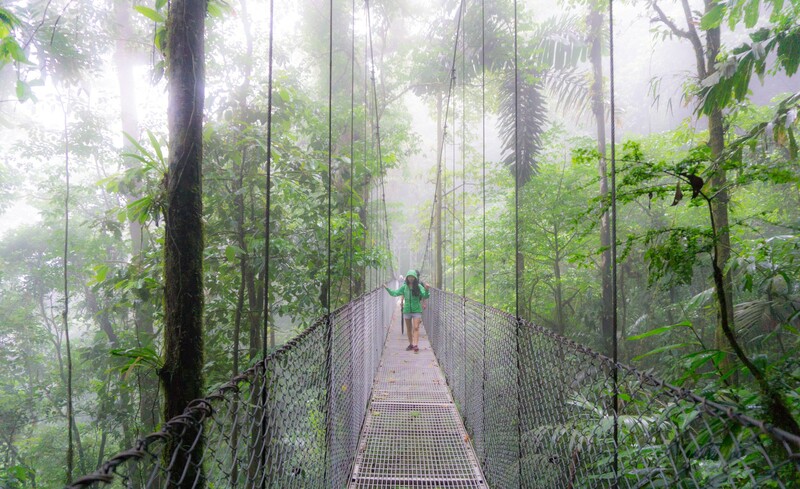 Costa Rica is known for its rainforest and all the adventurous activities you can do, including hiking, kayaking, zip-lining, horseback riding, white water rafting, ATV, and many more. 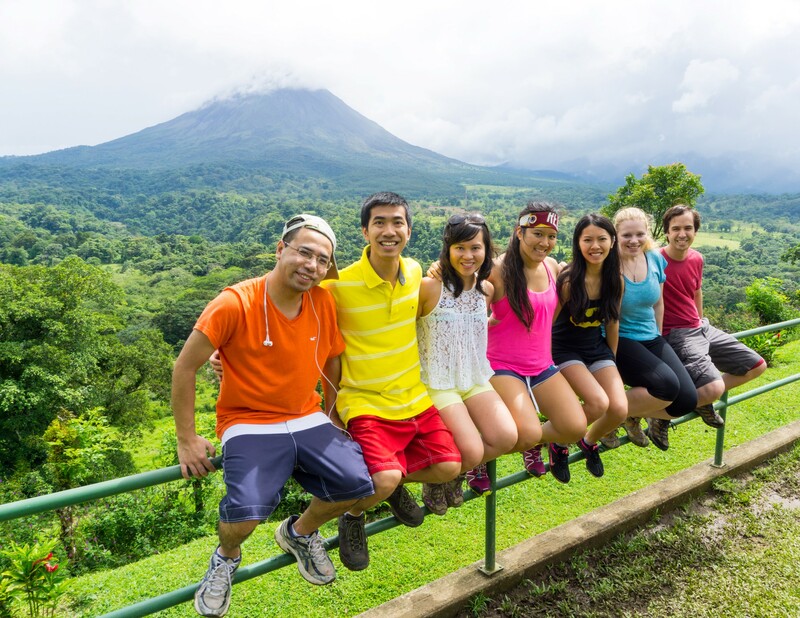 We planned a 5 day trip to Costa Rica with our friends to escape the winter in DC and we all had tons of fun! 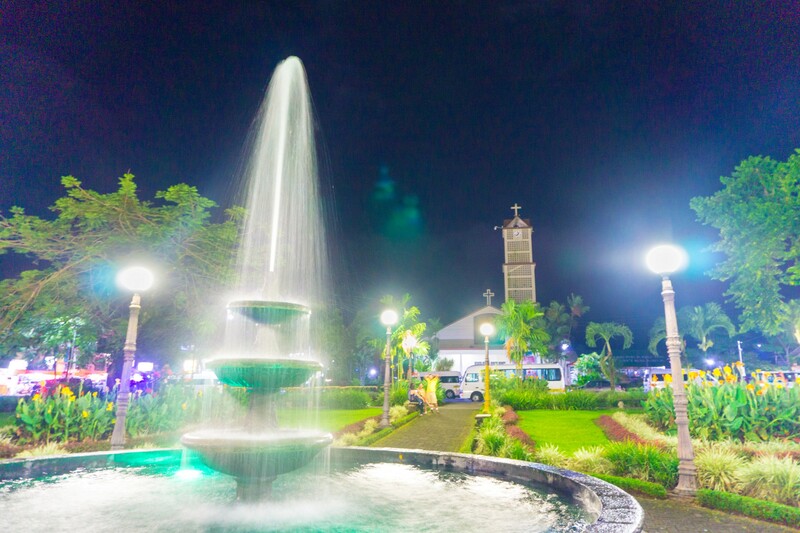 La Fortuna at night. 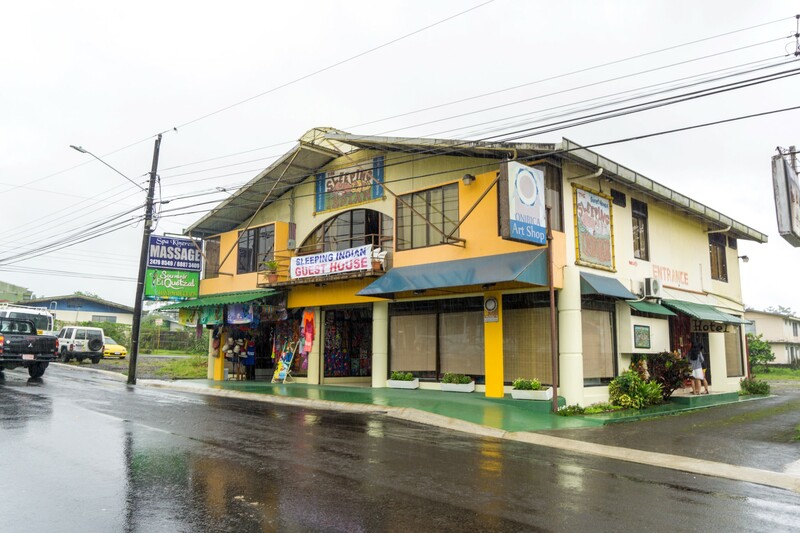 This is the town center, which is minutes away from our guest house. 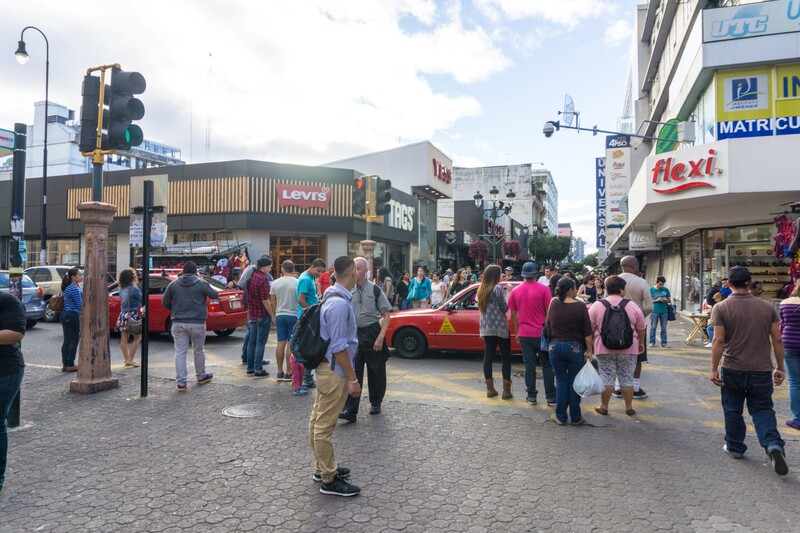 The main airport that most people arrive to is in the capital, San Jose. Ticket costs around 300-400 round trip on average from the Washington DC area. Southwest flies to San Jose from BWI airport, so if you have the Southwest Companion Pass, you can fly here for almost free, paying only about $50 in taxes per person. 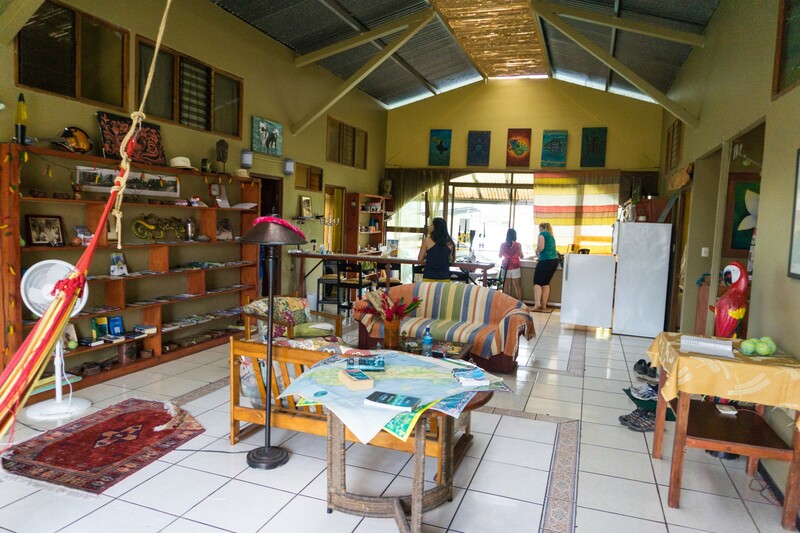 We booked 2 nights to stay in the small city of La Fortuna, near the active Arenal Volcano. 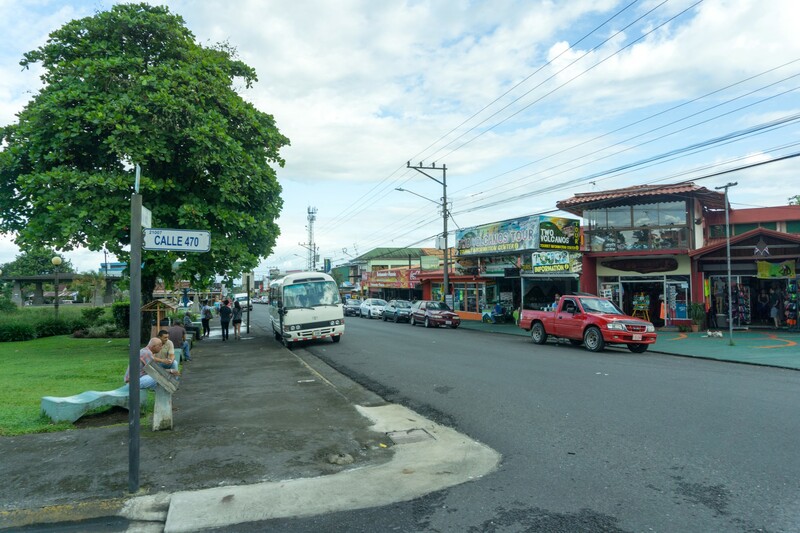 La Fortuna is a small little town that sits pretty much at the bottom of the volcano. We loved the town as it is very charming, safe, and tourist friendly. We used Airbnb to book a house called “The Sleeping Indian” that was located right in the middle of town, next to the Catholic Church. 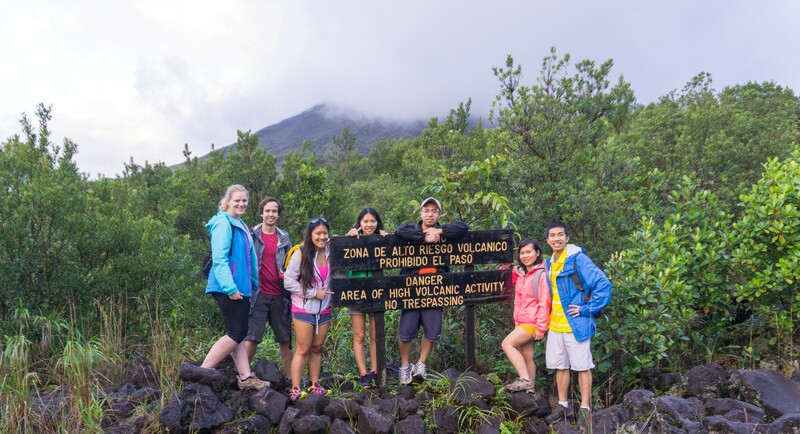 The city is a good base for many day tours departing from the Arenal Volcano area. 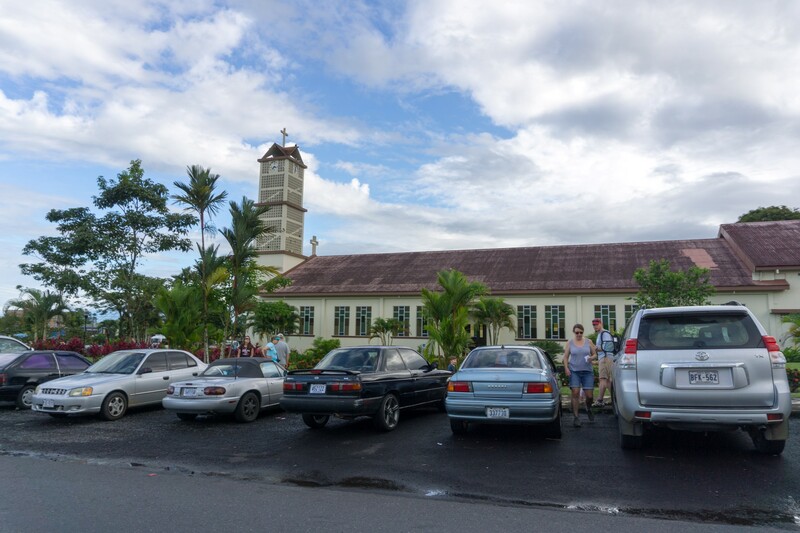 Getting to La Fortuna takes about 3.5 hours drive from San Jose airport. The drive there was through VERY winding roads through the mountains, so those that get motion sickness easily should definitely take Dramamine or something similar. However once you arrive you’ll forget all of that as you walk through the charming town. We had the whole house to ourselves. 5 Bedrooms + 5 Baths that can sleep for 10 comfortably. We stayed the other 2 nights here and highly recommend that you choose a hotel that is near the city center (see map below), as there are a lot of people and everything is much more lively and safe. 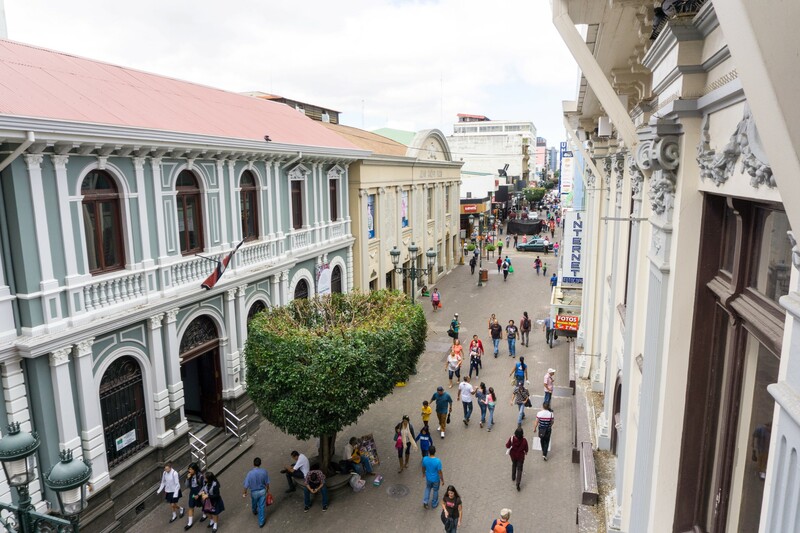 Hotel El Maragato is a good choice as it’s located right off the main street where there are always a lot of people walking, playing music, hanging out, all day long. 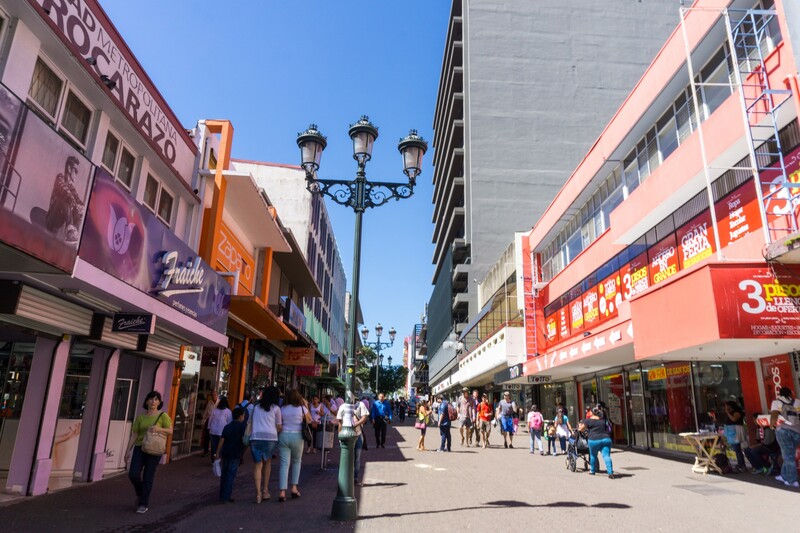 San Jose is known for theft and other petty crimes, so be careful of your belongings while you walk around, and don’t wander too far off from the main city center, especially at night. 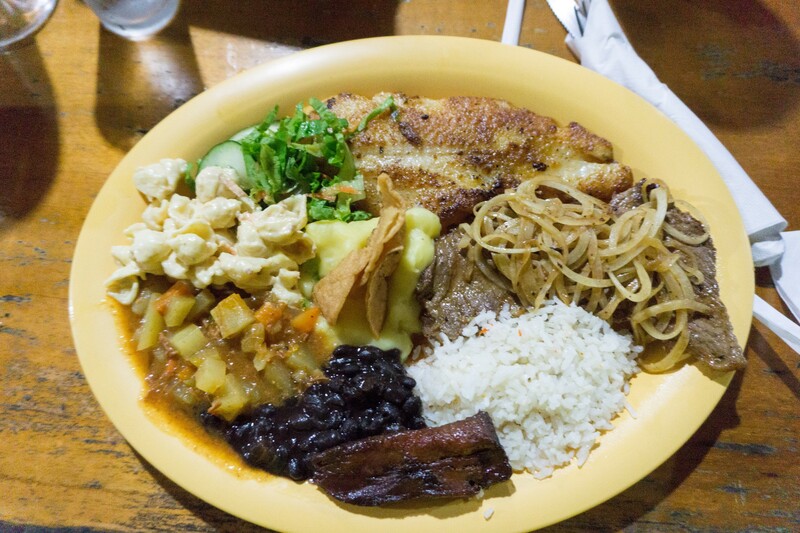 The main dish in Costa Rica is “Casado”, which is basically a rice dish that includes black beans, plantains, salad, and a choice between fish, chicken, pork, beef. We really like the dish and ended up eating it almost everyday while on the trip. 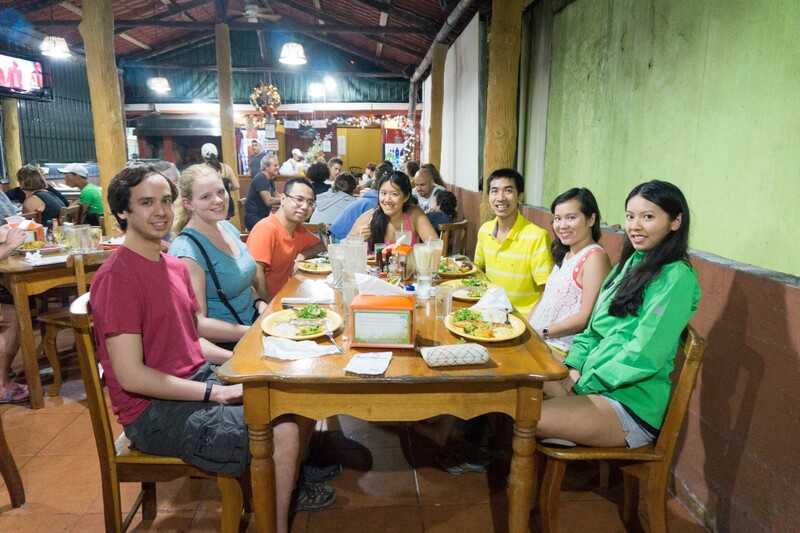 There are many restaurants located in the vicinity of the town square in La Fortuna. 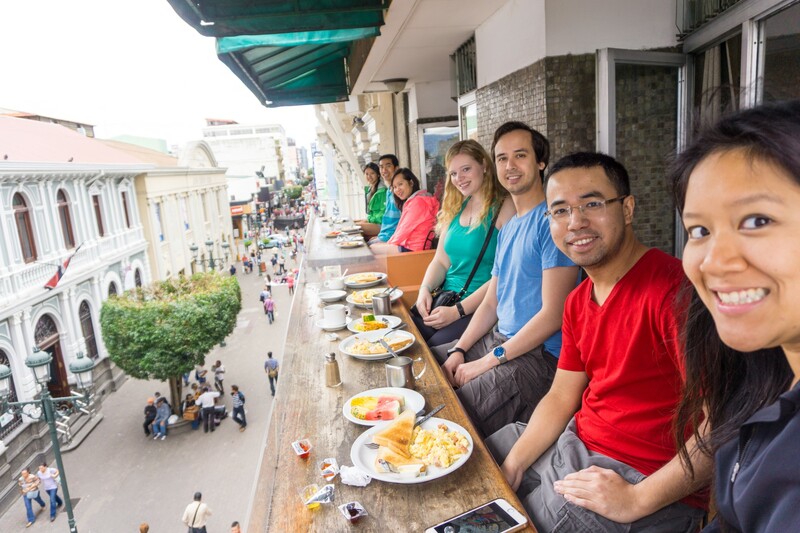 Most people recommended to try eating at Lava Lounge for its liveliness and ambiance. We thought the food was only okay and overpriced. We went to another restaurant called “Soda Viquez” and it was MUCH better, and much cheaper too. So if you come here, I suggest you skip Lava Lounge and go to Soda Viquez or other places nearby. 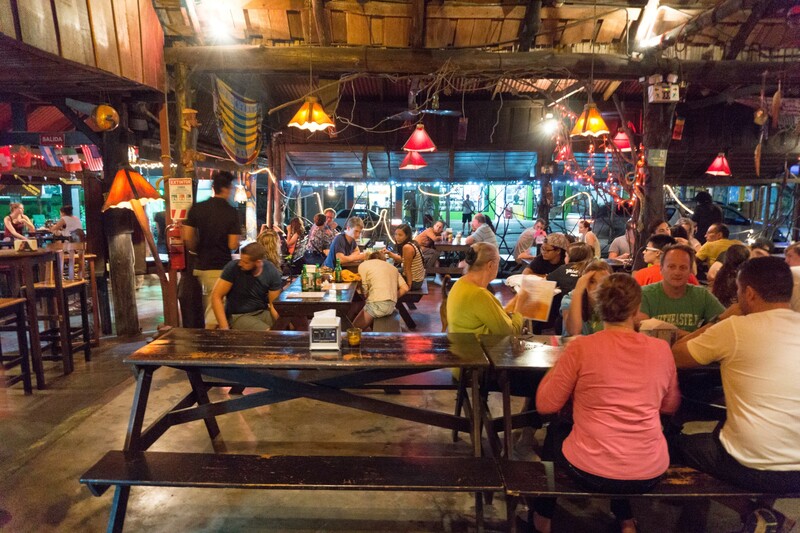 Lava Lounge is still good as a spot with live music on certain night of the week to hang out at night. 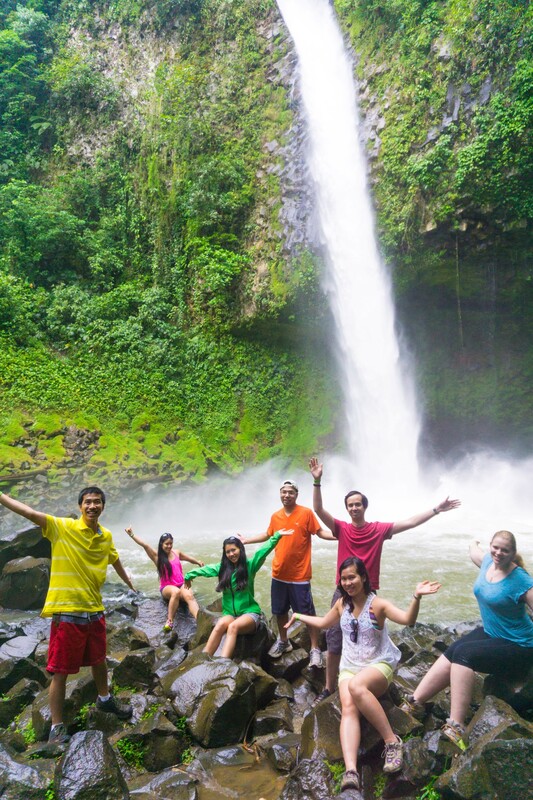 Day tours are the main activities you can do while in Costa Rica. 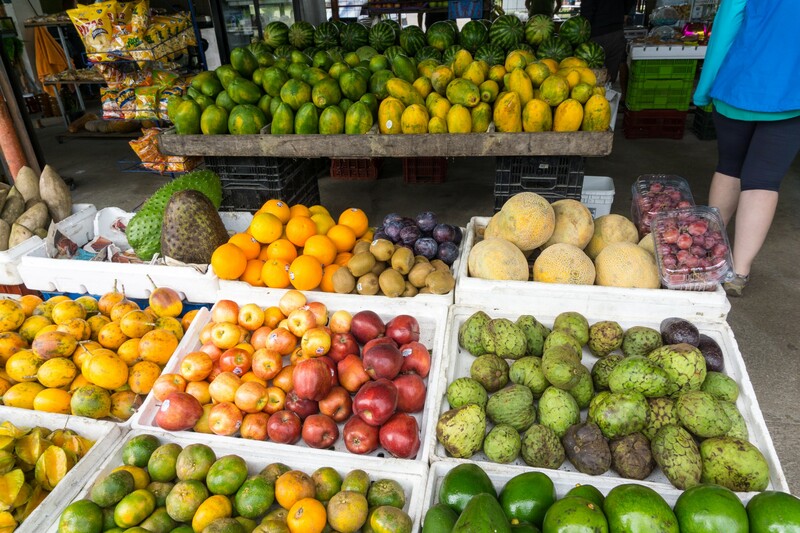 We did two day tours while in Costa Rica. 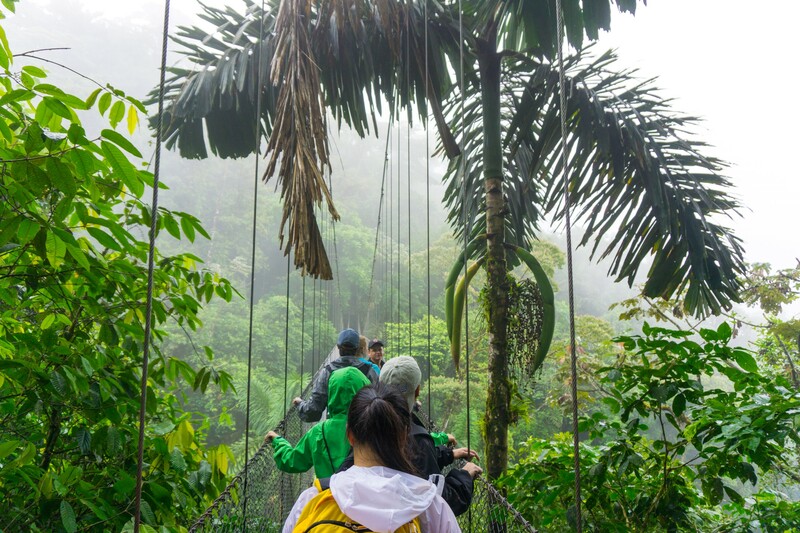 The first tour we did was in La Fortuna, called “Full Day Adventure in Arenal” which included hiking around the volcano, seeing the La Fortuna waterfall, and walking through the rain-forest on Hanging Bridges. 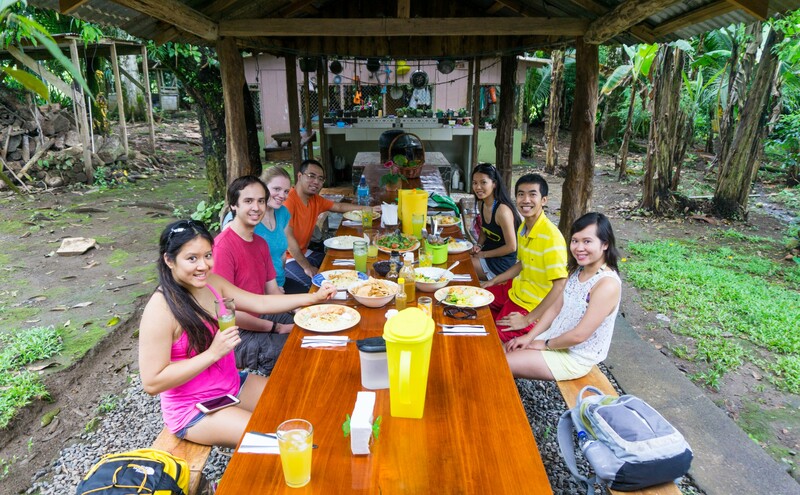 Most of the tour consisted of hiking around different areas, then having lunch at a local house. 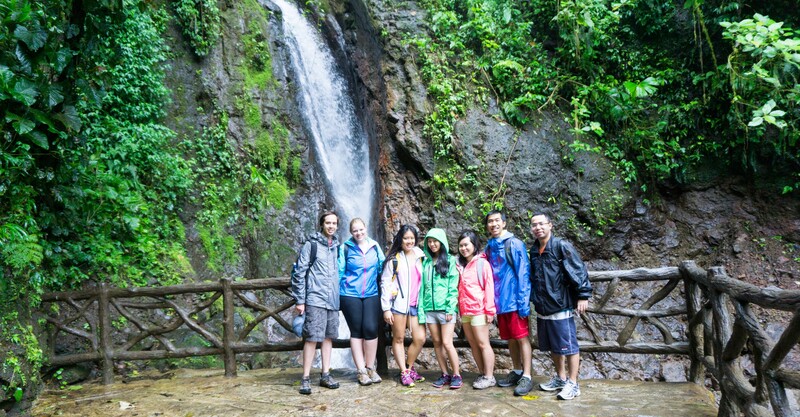 At the La Fortuna waterfall, you can swim there, but it wasn’t like what we saw in the picture. The area that you swim in is actually away from the actual waterfall, so you can’t actually swim IN the waterfall like we thought. It was a bit disappointing so we skipped out on swimming there. The tour begins at 8 AM to 6 PM so be prepared for a long day out. 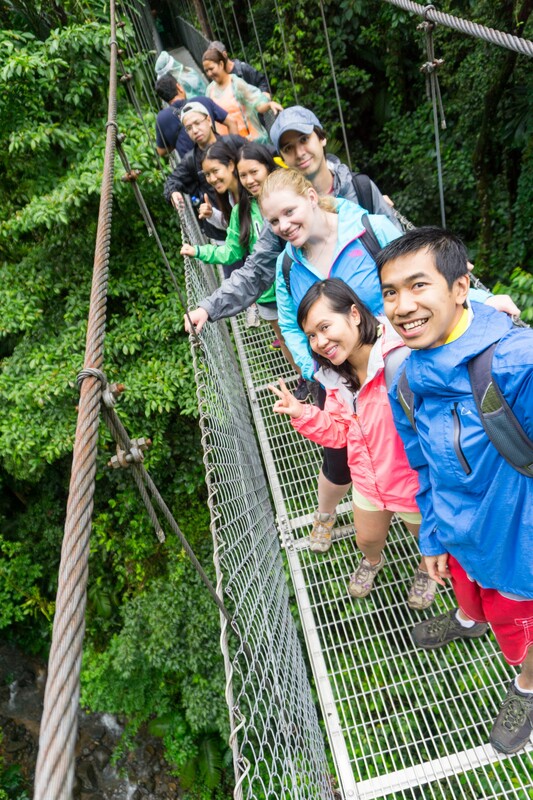 Overall it was a good tour and we enjoyed it very much especially the hanging bridges – MUST DO! 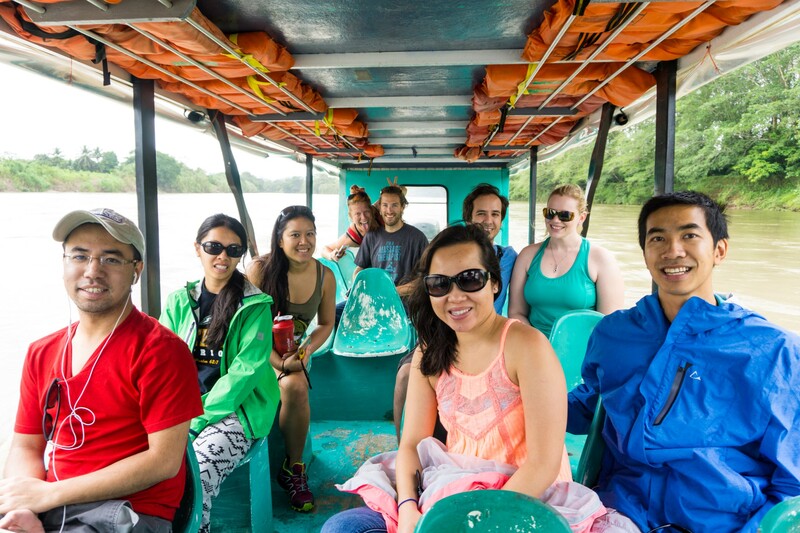 While in San Jose, we did the Sarapiqui River Sightseeing Cruise and Zipline Canopy Tour. 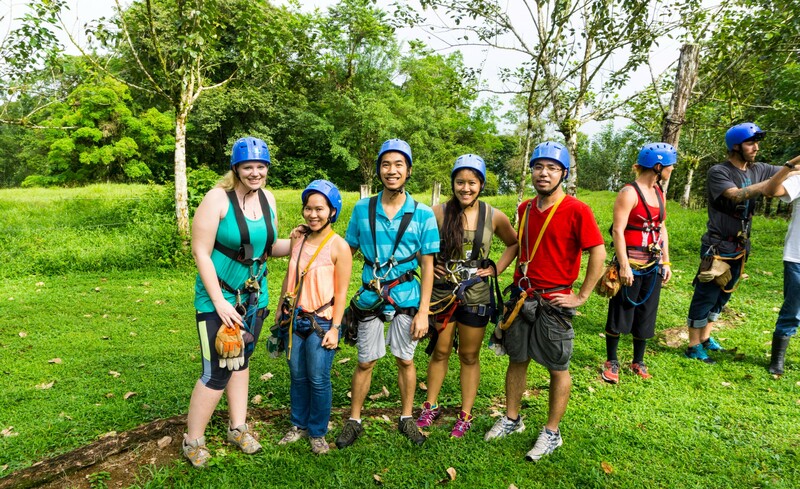 Costa Rica is famous for its high zip-lining and we had a great experience. 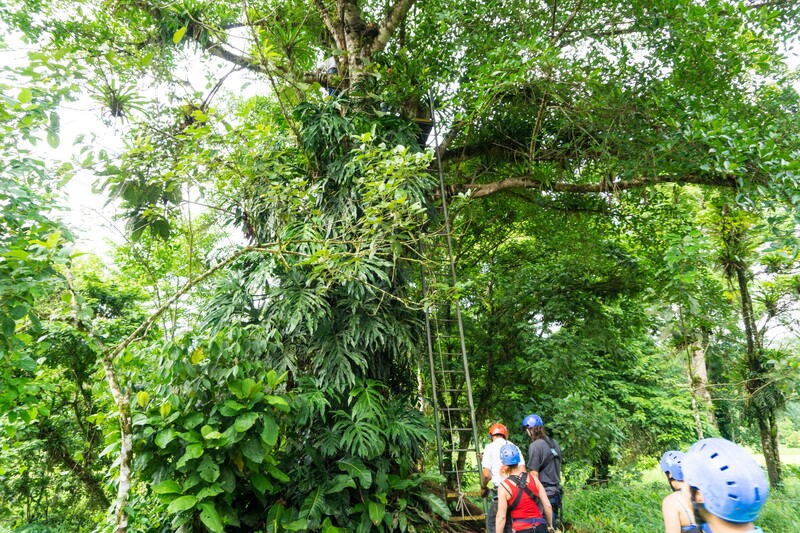 You have to climb up a few tall ladders to get up to the zip lines, so this is not for anyone who is scared of heights. There are a total of 10 zip lines and each is a lot longer than all the other zip lines we have been to. 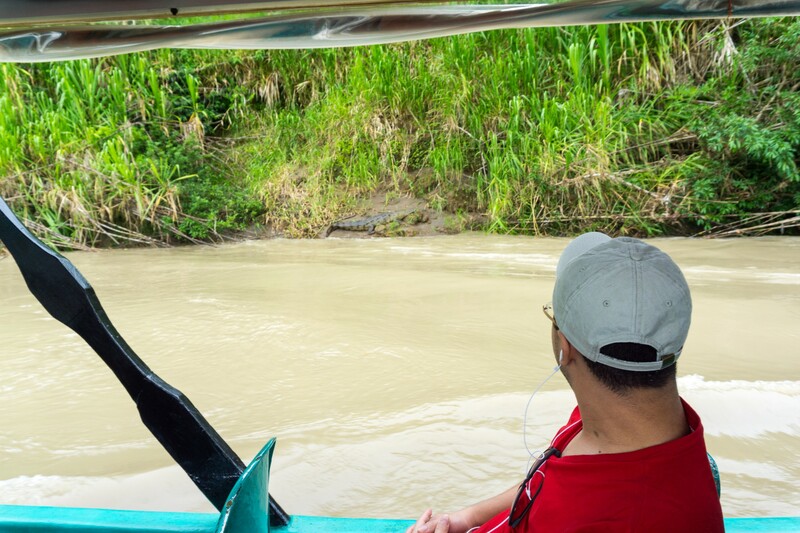 The river cruising was relaxing and the tour guide showed us crocodiles, birds, monkeys, and the different wildlife in the area. 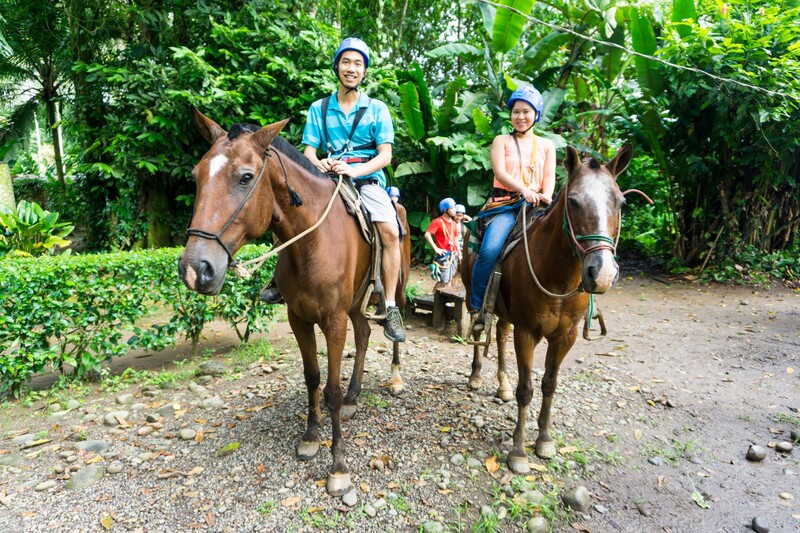 Note that horseback riding is included in the tour but optional. If you are doing the same tour, make sure you ask them to include horseback riding, it is free. 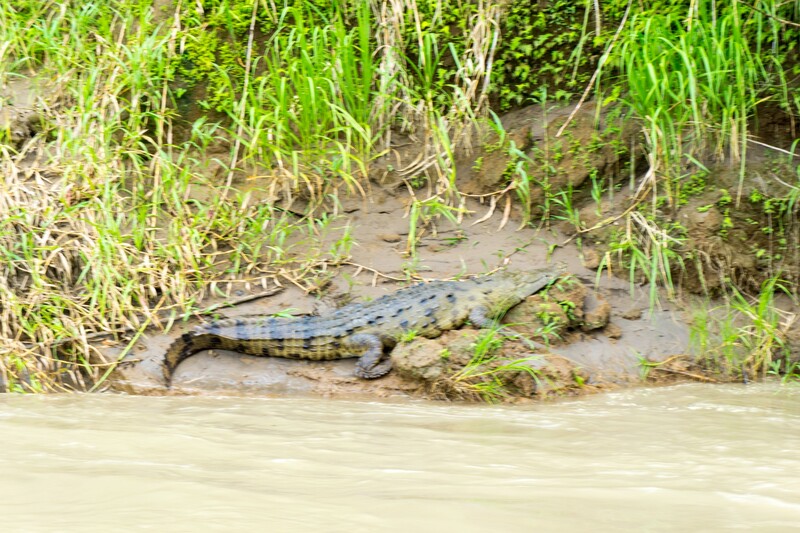 Overall we enjoyed our trip to Costa Rica and recommend it for those who likes the outdoors and adventurous activities. Hey guys, I see you guys have travel companions on this trip, Maybe you should start some sort of travel service and host trips. I’m sure it’s more fun with a group and certainly will feel safer. Hey guys! 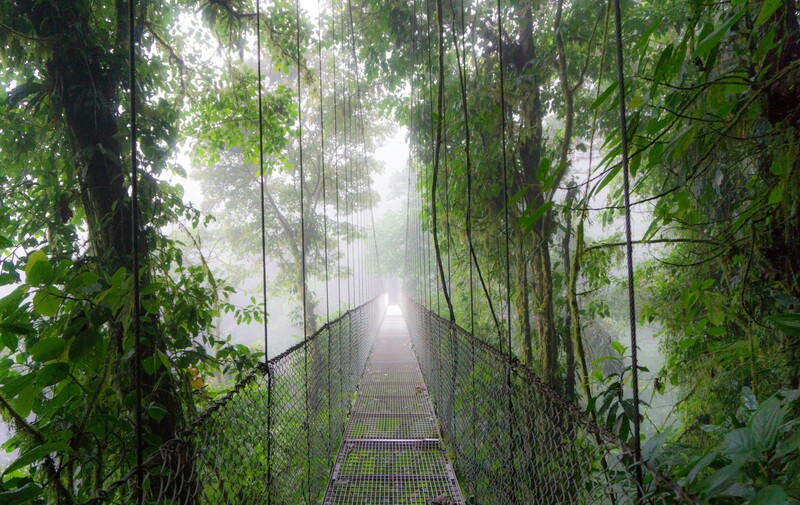 Planning a trip to Costa Rica, but in the “green” season. We’re doing the Arena Volcano and waterfall as one of the first activities. Is it worth getting a car from San Jose? We heard it might not be the best idea in the rainy season. 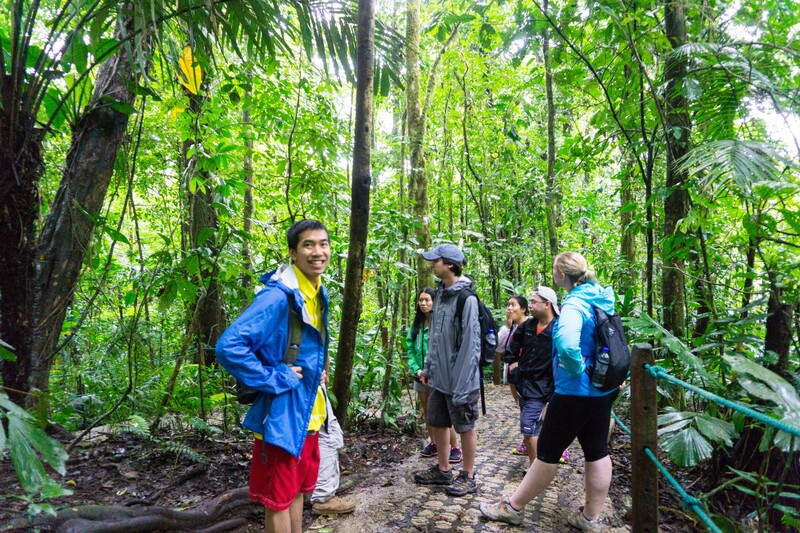 Then there’s the tour — Do you mind sharing how much you paid for the all day volcano/waterfall tour? 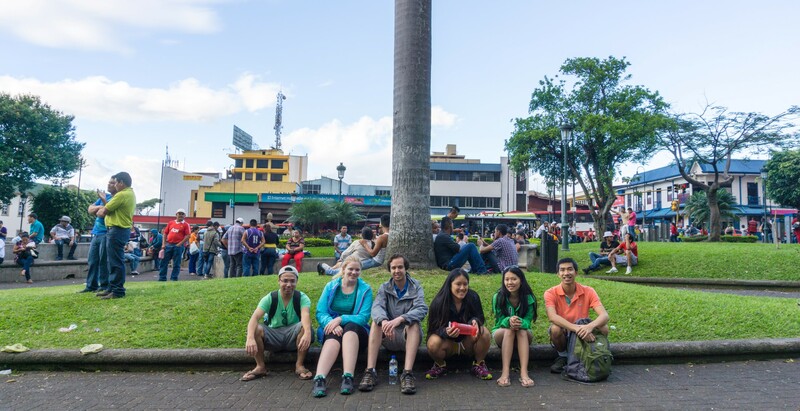 We were debating whether we should just get a tour that will pick us up directly from San Jose instead of La Fortuna. Trying to see if the extra $ is worth it. I think they have the lowest prices and service was good (about $25 per person). 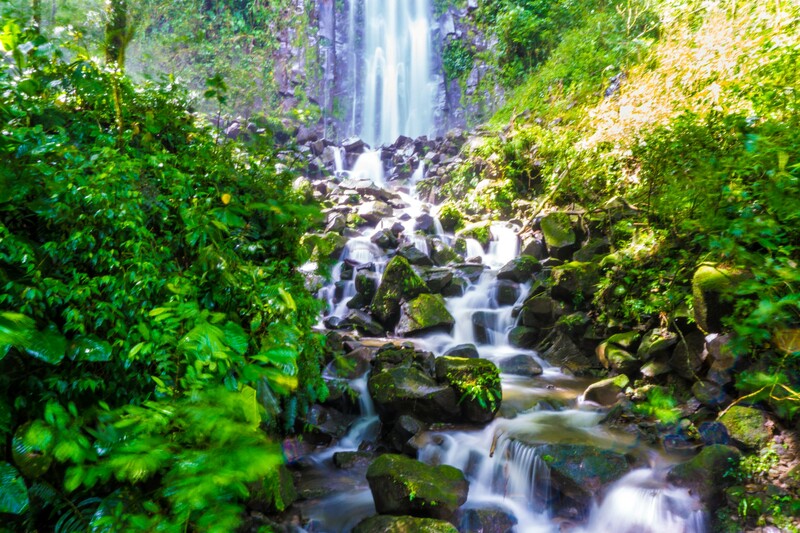 For tours, it is quite expensive in Costa Rica. 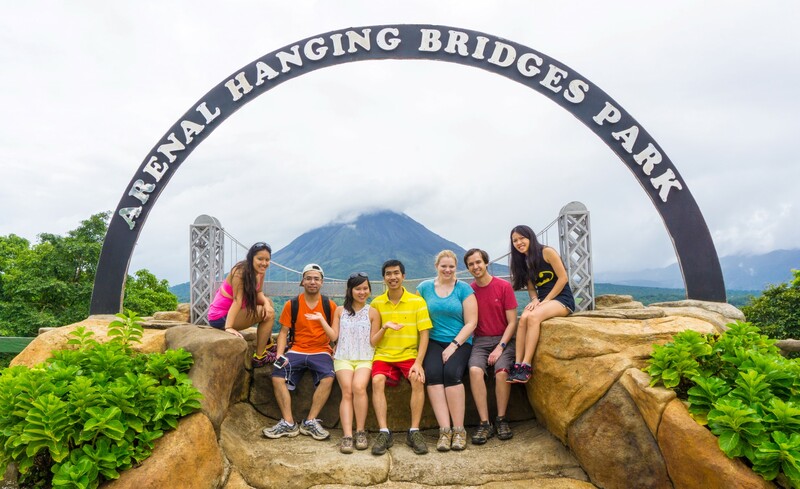 We did the Arenal Volcano combo tour which include Hanging bridges, ziplining, horseback riding, and Arenal volcano hike, for about $140 per person. This was from La Fortuna. 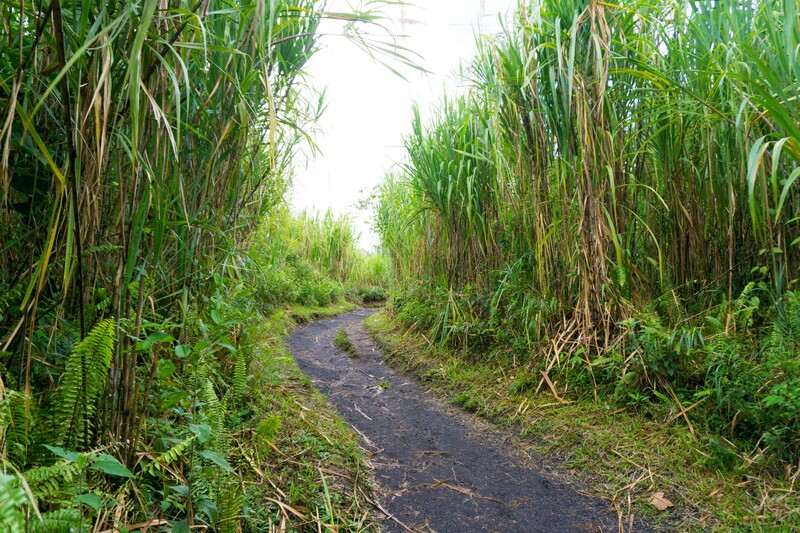 If you do any tour around Arenal, we suggest you do it from La Fortuna or somewhere nearby, as the drive from San Jose to Arenal area is like 3.5 hours through winding roads like mentioned earlier. 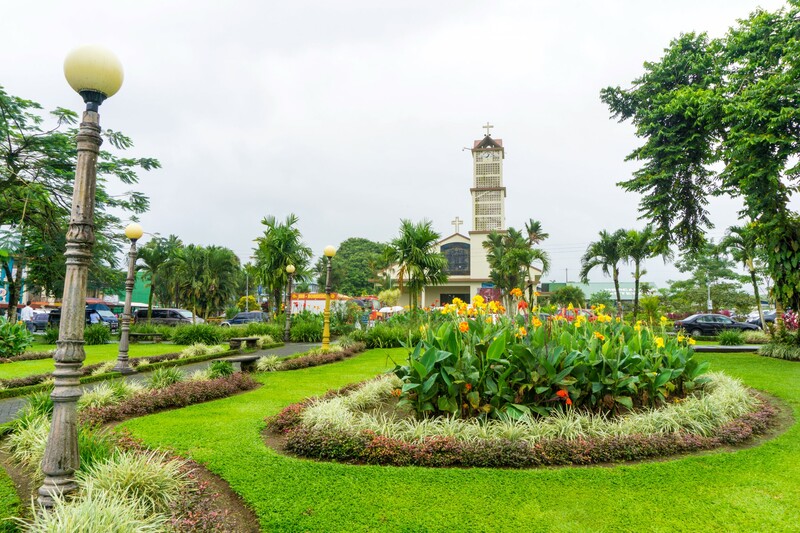 La Fortuna itself is a nice little town that we really liked, so if possible, stay there for a night or two and do Arenal tours from there. Great! Thanks for the useful tips guys!